- Publisher With the release of their Dove-nominated, critically acclaimed sophomore album Truth, Soul, Rock & Roll, The Elms have established themselves as one of the most important rock-and-roll bands on the scene today. Their amazing live performances, melodic songwriting and unique American Rock-and-Roll sound continue to resonate with fans looking for something different in today's music. 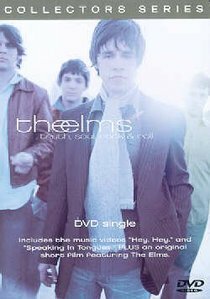 About "The Elms (Collector's Series)"
With the release of their Dove-nominated, critically acclaimed sophomore album Truth, Soul, Rock & Roll, The Elms have established themselves as one of the most important rock-and-roll bands on the scene today. Their amazing live performances, melodic songwriting and unique American Rock-and-Roll sound continue to resonate with fans looking for something different in today's music.